I finally got sick of making curry from strange, gelatinous packets and mixes and forged into the territory of real curry. With the help of my spice rack and a taste for Thai cuisine, I made the most delectable curry eva. Not that I'm a bad cook, but I was pleasantly surprised at how well this turned out. Take out the meat and replace it with more veggies or an alternative protein and this recipe is vegan-friendly! It's just spicy enough to be considered 'spicy' but mild enough that you can still taste everything else. It's bomb. I can't wait to make it again. 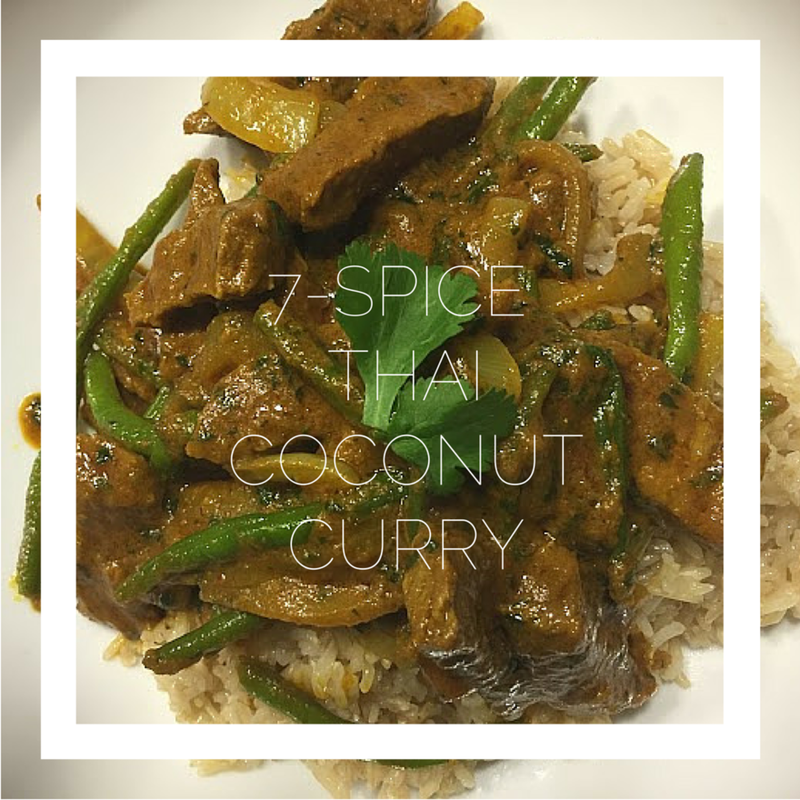 Here it is: 7-spice thai coconut curry! Thinly slice the sirloin into bite-size long strips. Put them in a mixing bowl. Add 1/2 the can (1 cup) of coconut milk to the steak. Then, add the cury paste, turmeric, garlic powder, onion powder, paprika, and cayenne (see, 7 spices)! Combine the ingredients well until you get a golden mixture. Refrigerate for 30 minutes to an hour. My friend Faith will gladly reminder you that a year ago I couldn't cook rice. But here I am, about to tell you how to cook the tastiest rice ever. Combine the rice, water, and the other half of the coconut milk in a pot on medium high. Bring them to a boil for about 15 minutes and then to a simmer. Continue to stir the rice until the coconut milk evaporates and is absorbed by the rice. Slowly add in dashes of salt to your liking. Best. Rice. Ever. Coat the bottom of a large fry pan in olive oil and heat it on medium-high. Throw in the green beans and the onions, lightly sautéing them for about 5 minutes. You want the vegetables to be soft without getting too mushy. Slowly stir in the marinated meat and cook it through. Don't panic, the mixture will darken as it cooks. If you want to get real fancy, grate some fresh ginger, and add some minced garlic and lime juice to the curry. After the meat is cooked through pour a healthy amount of curry over a bed of that yummy rice.